Glendale is one of LA’s most popular neighborhoods. Whether you’re headed to Glendale for business or pleasure, SafeRide Transport can provide the right car service for either your company or your family. From the Glendale Galleria to Brand Park, we can provide fast, convenient, and safe chauffeured car services all over Glendale. With SafeRide, you can forget the traffic or finding parking. Use our Glendale limo services to relax and get to your destination in style. We offer limousine services for weddings, bachelor/bachelorette parties, proms, corporate transportation services, graduations, and special event cars in Glendale. Your limo options include Glendale, Pasadena, Van Nuys, Hacienda Heights, and beyond. 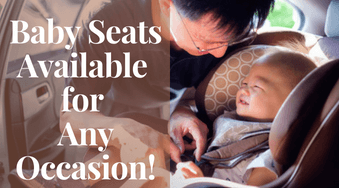 SafeRide Transport also has options for baby seats, toddler seats, and booster seats in Glendale, great for traveling with small children. Never worry about missing your flight out of the Bob Hope Airport or LAX when you reserve your ride to Glendale with SafeRide Transport!